I’m excited to announce that I have just started up a new website. As all of you know, based on what I blog about, I love craft beer. I have been going to dozens of craft beer shops for the last few years and I have grown to know a lot of these shops. I really enjoy finding new places but have found that the information in English has been poor. While there are really good sites that provide the information I want, most of them are either in Japanese or they are not full of the specific information that I want. This is why I have created a new website, Taiheiyogan. Taiheiyogan will be your centre for craft beer in Japan. We are starting small by focusing on Tokyo at first but we plan to expand throughout Japan over the coming months and years. It is a difficult venture and will require help to curate all of the information. 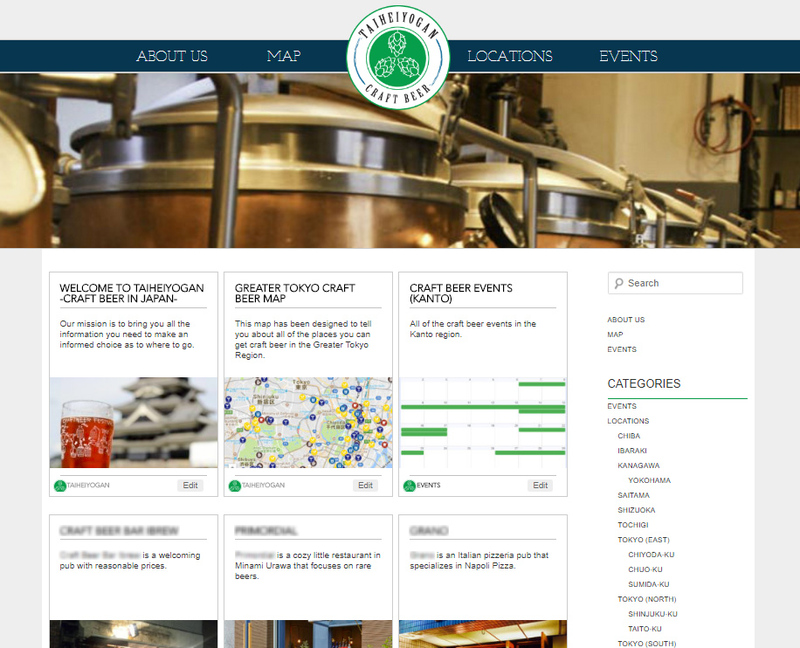 If you love craft beer and want to know where to get good craft beer in Japan, then head to the Taiheiyogan website to get all of that information! In case you are wondering, Taiheiyogan is the Japanese word for Pacific Coast. It symbolizes everything about me in how I was born in Vancouver and now I live in Tokyo. Both are on the coast and my life has always revolved around this big body of water. I created the logo with the help of my friends over at Dennis Lo Designs as well as DigitalLapin. Without them this would never have come to fruition. They also helped in getting the website design created and getting it going. If you ever need a website created, they are the ones to ask. This entry was posted in Daily Life in Japan, Food and tagged craft beer, Dennis Lo Designs, DigitalLapin, japan, Taiheiyogan by Dru. Bookmark the permalink.